Don't Let the Holiday Season Bust Your Budget and Upend Your Finances! Get 13 Tips on Keeping Your Shopping Under Control! Now that Santa Claus came to town in the Macy’s Thanksgiving Day Parade, the holiday season has officially begun! However, this season can be rather treacherous from a financial standpoint if you do not keep a tight rein on the spending (not just the reindeer). Whether you celebrate Christmas, Chanukah, or some other December holiday, the “season of giving” can be a huge budget buster. Everything is great until those credit card bills come in in January! 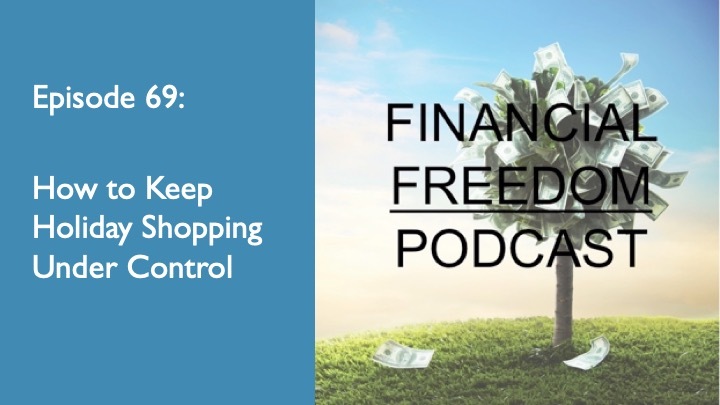 That is why, in this episode of the podcast, as I did in Episode 45, I talk about some things you can do to be sure that you are celebrating the new year on a firm financial footing after having a wonderful holiday season.